About Senthil | My Three Senths: Sports. Business. Life. Born in India, moved to New Orleans when I was seven, and currently making residence in Houston. I’m studying at Rice University now, pursuing electrical engineering, engineering leadership, and business. I’ve got a background in mortgage sales and have served a sales coach for real estate professionals in the Greater New Orleans area, focusing on system-driven client relations. Engineers can also be effective communicators, and I want to prove it. At Rice now, I am on the leadership team for OwlSpark, the university startup accelerator. Houston has all the resources to be a nationally recognized hub for entrepreneurship, and I’m passionate about helping progress towards that goal. As a sports fan, football is the first sport I learned, and I love my New Orleans Saints forever and ever. Steve Gleason blocking the punt in the Superdome reopening game is one of my favorite moments in sports history. 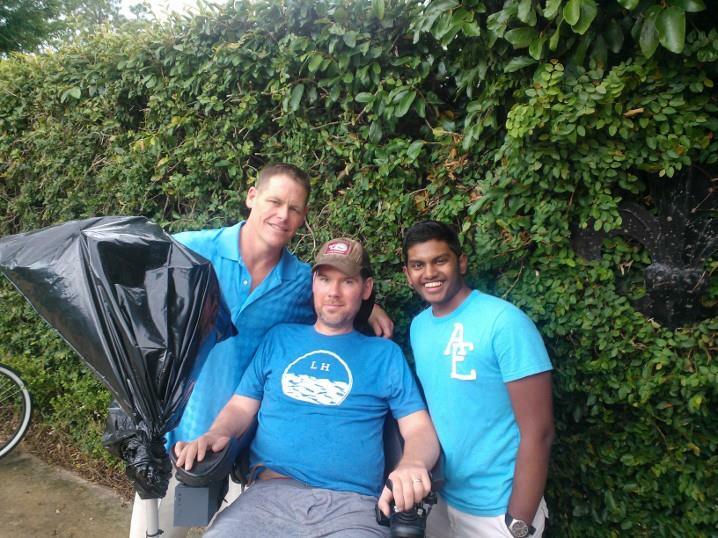 Steve has been afflicted with ALS, but he continues to fight, with #NoWhite Flags. Having the honor of knowing him in person only reinforces my bond with my Saints, and was the catalyst for my interest in ALS research. In basketball, I have to go with the Rockets (Rise up, Red Nation) first, Spurs second, and my hometown Pelicans third. I recently learned the sport of soccer a few years back, and as unpopular an opinion as it may be, my favorite team is in fact Manchester City. Favorite players: Tom Brady in football, Tim Duncan and Kobe in basketball, Joe Hart in soccer. But my favorite athlete, regardless of sport? Michael Phelps. I love sports and I love business. So I wanted to blog about them. Consider this site an open dialogue of analysis, observations, and opinions as it pertains to both fields primarily. Follow me on twitter @SENTH1S and be sure to follow @RiceOwlSpark and @TeamGleason as well for some great insights and information. I encourage you to join me in my project!